For years now — since around the time the channel purposefully misspelled its name from Sci Fi to Syfy — the former home of science fiction on television has been something of a joke. And now the channel and its owners at NBC think they can save it. At an event Tuesday evening in New York, NBC Universal Cable Entertainment's President of Entertainment, Chris McCumber, and its Executive Vice President of Marketing and Digital, Alexandra Shapiro, did their best to pitch what they called the "Syfy Reboot" to a room full of press. McCumber opened by saying, "This year, believe it or not, is our 25th anniversary. And I can't think of a better time for us to really embrace this genre and get back to our roots." And while the longevity of the channel came up a lot, mostly the Syfy reboot sounds like a total reinvention of a channel still mostly associated with Sharknado and reality television. "When you look at the core of sci-fi fans, frankly, we're only getting about a quarter of them," said McCumber, who was honest about the problems and the challenges facing the network throughout the night. The channel is banking a lot on this reboot being the one that sticks. One of the changes that stood out immediately on Tuesday was the new logo, which is very large and very green. Where the old logo was a soothing purple and had soft, curved letters, the new one is aggressive, angular, and actually kind of a painful colour. The use of purple in the channel's branding was one of the things that remained constant when the channel changed its name eight years ago. And the softer letters, too. This change does scream that they're starting over, but you can't help but wonder if the changes are more of the kind fans didn't like the first time around. Of course, all of that is window dressing compared what Syfy will actually put up on screens. McCumber said the goal was to go back to high-end, scripted television, with four focuses: Space and sci-fi, fantasy, paranormal and supernatural, and superheroes and comics. The Expanse and The Magicians are clearly the network's flagship returning shows, mentioned many times and with pictures all over the presentations. 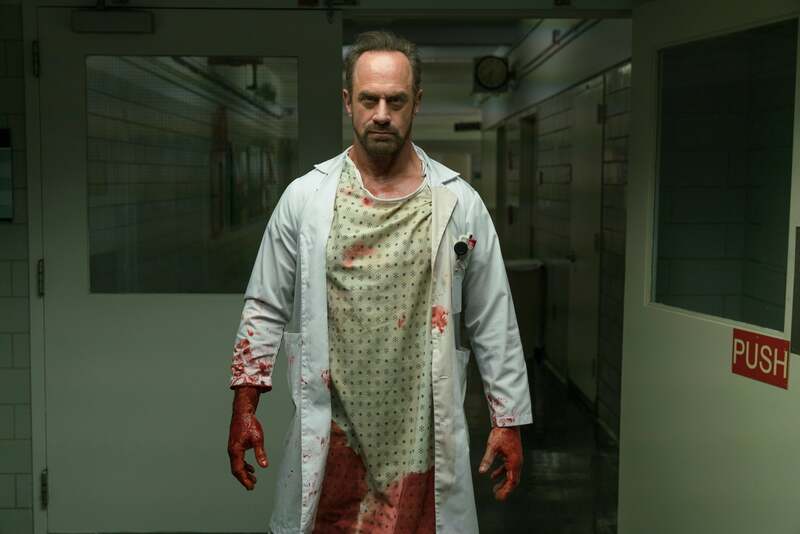 For new projects, it was announced Tuesday night that Happy!, the adaptation of a Grant Morrison comic starring Christopher Meloni that was announced last year, will get a full season. 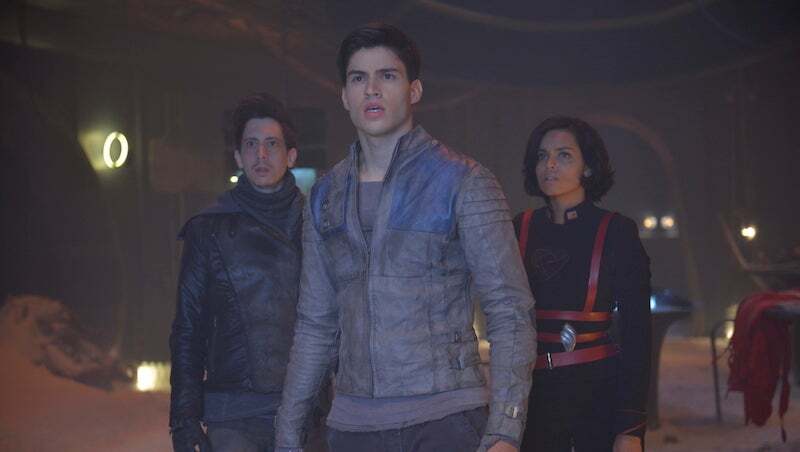 Similarly, the Superman prequel Krypton has a full series order. The only new project announced was the development of George R.R. Martin's Nightflyers, a sci-fi-horror novella he wrote in 1980, which was actually adapted into a movie in 1987. 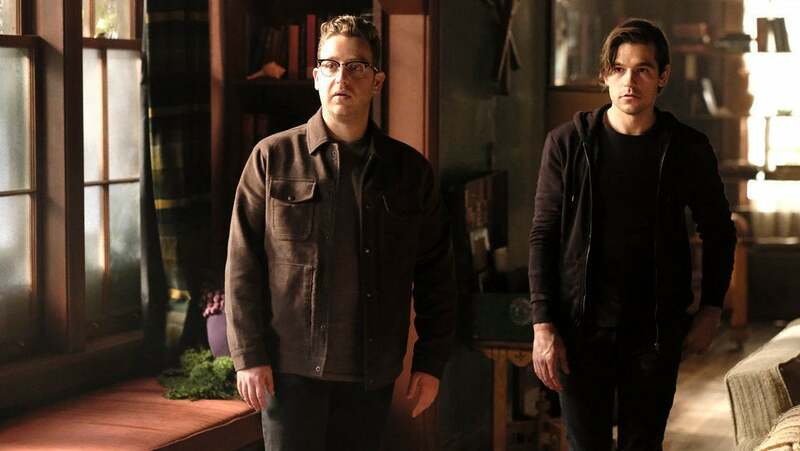 Syfy said they were looking at it as a possible series, perhaps based on G.R.R.M's horror short story collection, which Nightfliers was included in and lent its name to. 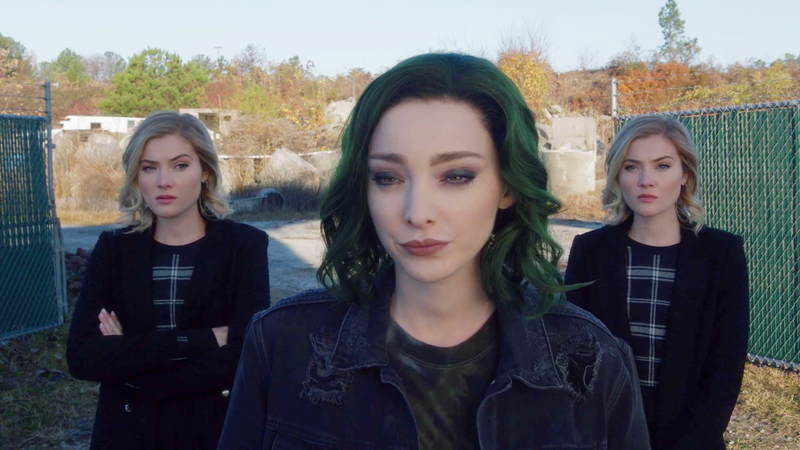 All the other upcoming series and specials Syfy mentioned at the upfront — Brave New World, Hyperion, The Purge and Stranger in a Strange Land — had been previously announced. You might notice pretty much all of these things are adaptations of works by white men. When directly asked about this, McCumber pointed to Wynona Earp and Van Helsing as shows with female leads, and The Magicians as a show with a female showrunner in Sera Gamble. He did say he thinks the audience for the channel needs to be more gender-balanced. 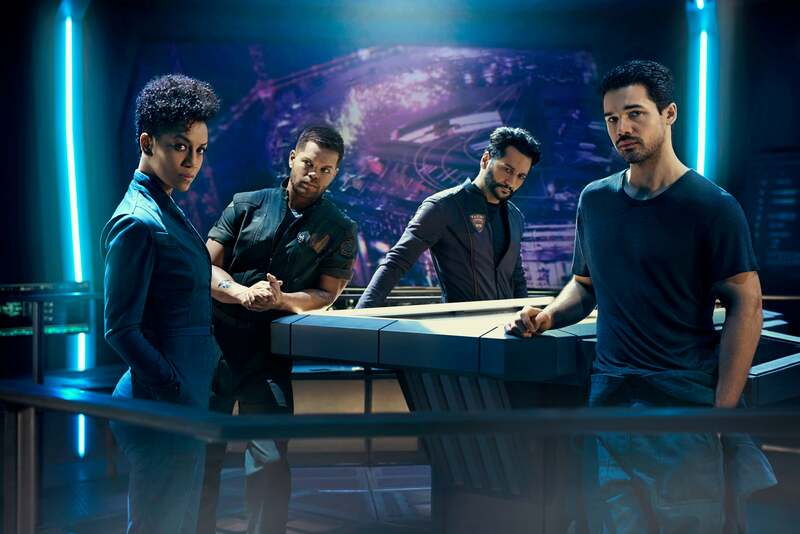 As for diversity, McCumber said, "Syfy [or sci-fi, as a genre, no way to know which one he meant] I think does a pretty good job with diversity across the board." "One thing we're very proud of is the tradition Syfy has had in embracing diverse ensemble casts," said Shapiro. "We haven't been faking that. That is something that has been pure and core to our tradition. But now I think what we want to do is bring in a modern spin so even when you see those classics [being adapted into] shows on there, we're going to reintroduce them to a new generation in a modern way." The channel has also paid a historic sum of money for Harry Potter and Fantastic Beasts and Where to Find Them. It's going to have some of the Marvel movies on it. Syfy wants to be the home of everyone's content, in some way or another. Shapiro said that another goal will be to put "fans and makers" front and centre, with the channel's presence at cons and festivals being touted as the most important way that the channel "pays homage to fans". Not just San Diego Comic-Con, but expanding coverage to other places. Overall, the plan is both an expansion and a contraction. The contraction is away from the reality TV and shlockfests, while returning to its core programming like Battlestar Galactica and Warehouse 13. The expansion is in trying to turn Syfy into the destination for all things genre — movies, television, discussion and even news. Instead of trying to be interesting to everyone, Syfy is banking on getting fans back. Syfy has a huge uphill battle to fight. This isn't a channel no one knew much about suddenly getting a few prestige shows to launch it into relevance. Syfy is a channel that had cachet, especially during the Battlestar Galactica years, and then let that goodwill run out. It's been trying to get relevant again for a long time, but has to claw legitimacy back. When asked why they thought this time would be the retooling that would work, McCumber and Shapiro admitted that the channel had claimed they were fixing things many times before. "For us it's about getting back to the roots. Embracing this fanbase and embracing all things genre. It's a very different rhythm than we've had in the past," answered McCumber. "We used to spend the bulk of our time talking about our own programming. [Now] we want to talk about the entire genre." And when it was pointed out that fans have been burned by this channel before, enough that it isn't the leader in the genre that it is named after, McCumber pleaded: "Come back, please." The switch flips on the new acid green Syfy on June 19. Fingers crossed that it works.